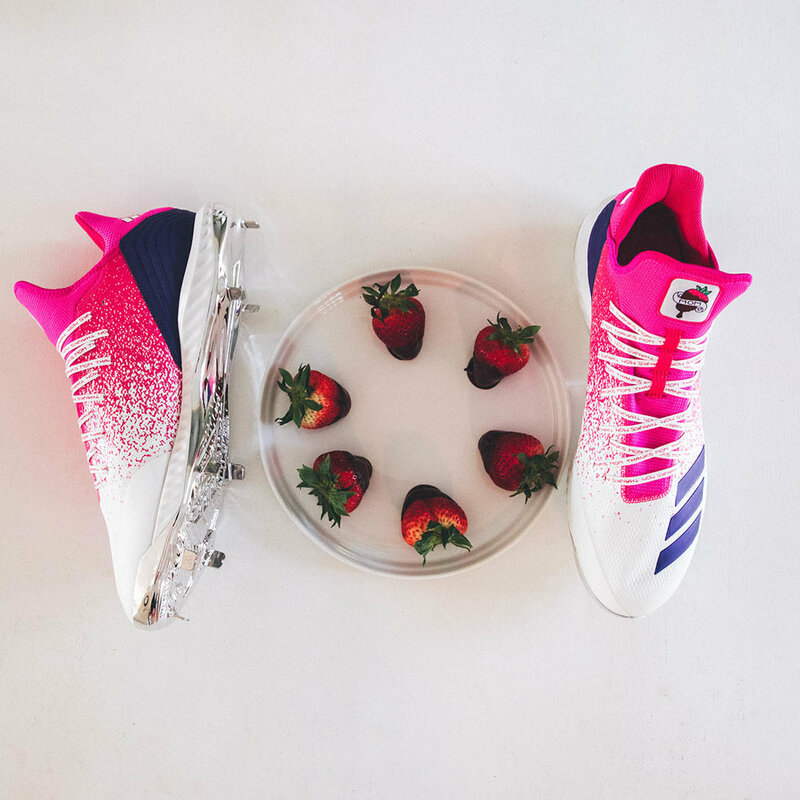 In honor of Mother's Day adidas Baseball is coming out with a customizable, special edition version of the adizero Afterburner, which can be personalized through adidas’ miadidas. The special edition cleats feature a traditional tattoo-inspired graphic on the tongue set in the outline of home plate. The white cleat features a unique pink splash on the body. 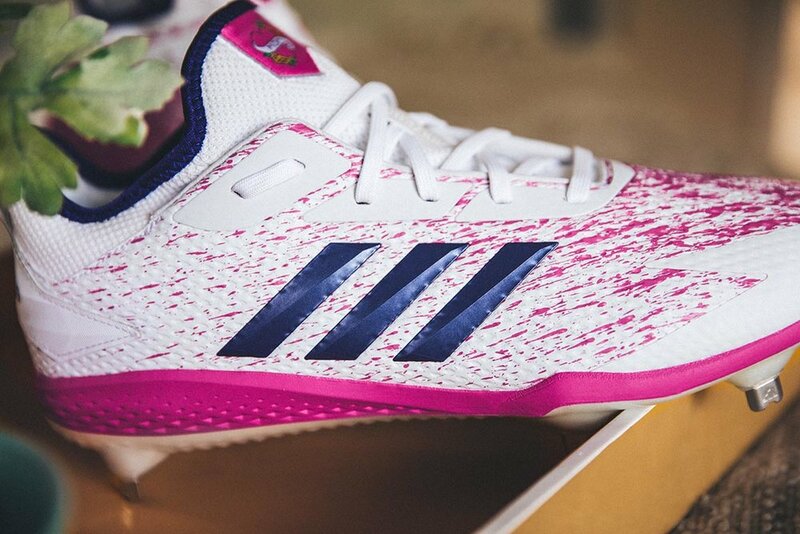 We will see the cleats take the field on over 150 members of the adidas baseball roster on Mother's Day weekend. adidas's newest superstar Aaron Judge will come out in a custom PE of the cleats. 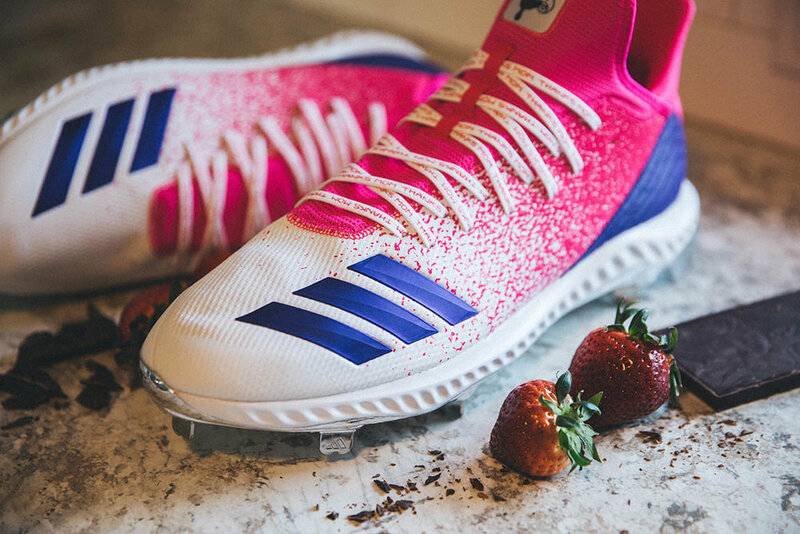 Judge's cleats will feature strawberries dipped in chocolate, which he regularly sends his mother on Mother's Day. We see the dipped strawberry on the tongue of the cleats and sockliner which also features his mom's initials, PJ.